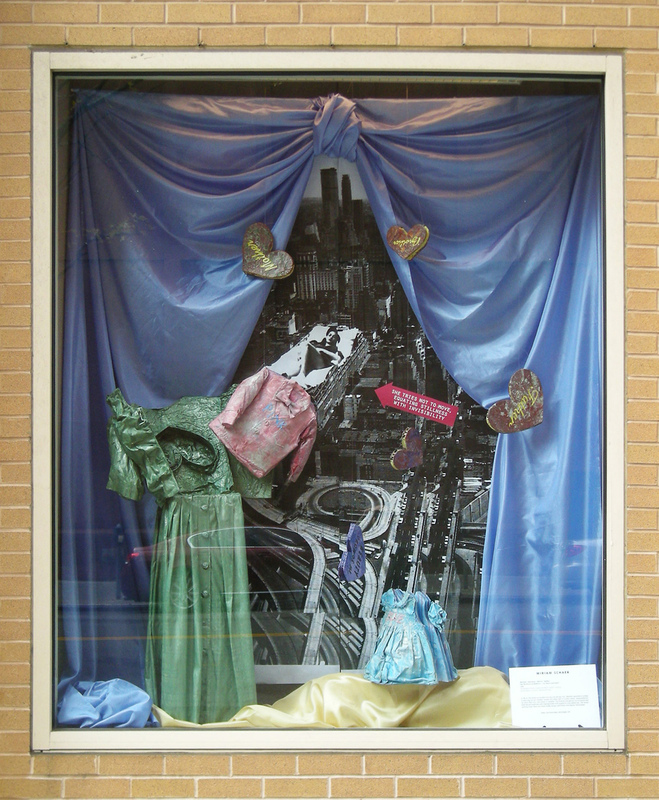 In 2007, as part of Art 364B: The Collective, I was invited to make two installations in the windows of NYU's Kimmel Center in Greenwich Village. Mistress/Maitresse/Matrix/Mother riffs on the theme of women having and doing it all. Whether peacefully asleep on the Port Authority roof or pouring out our insides, women are often seen in mythic terms, responsible for far more than any individual is capable. The green dress and gloves are impregnated with pigments and adhesives, and accessorized with found materials, while the books spilling from them are hand-made using traditional and digital techniques.